Each B vitamin is essential to certain bodily functions: ? B1 (Thiamine): Vitamin B1 helps the body make new cells. ? B2 (Riboflavin): This B vitamin is important for red blood cell production and fighting free radicals. ? B3 (Niacin): Helps regulate the nervous and digestive systems and aids in the conversion of food into energy. ? B5 (Pantothenic acid): Breaks down fats and carbohydrates for energy and is responsible for the production of hormones. ? B6 (Pyridoxine): Helps the body turn food into energy. Vitamin B6 also helps the body fight infection. ? B7 (Biotin): Involved in the production of hormones. ? B9 (Folic acid): This B vitamin helps cells make and maintain DNA and promotes the growth of red blood cells. It also helps to reduce the risk of birth defects. ? 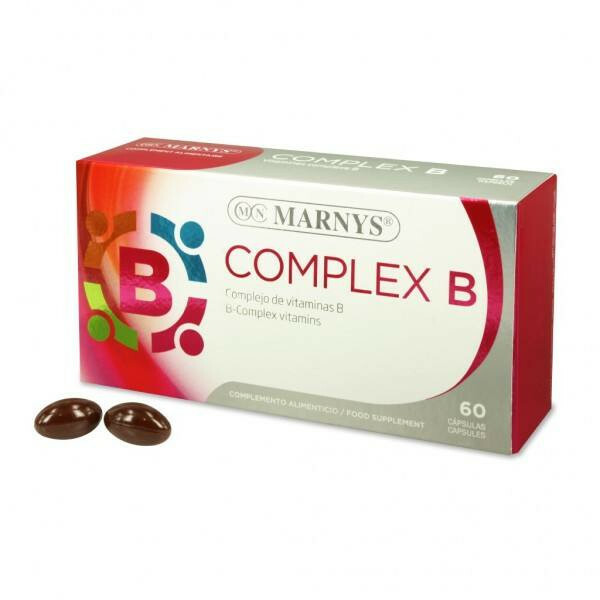 B12 (Cobalamin): Vitamin B12 helps regulate the nervous system and plays a role in red blood cell formation. Thiamine, Riboflavin, Niacin, Pantothenic acid, vitamin B6, Biotin, Folic Acid and vitamin B12. It also contains vitamin C and E.
It is used in cases of inflammation and energy.